Our September restaurant night is coming up Thursday, September 13 at Grand Slam Pizza in Vista (Google Maps). 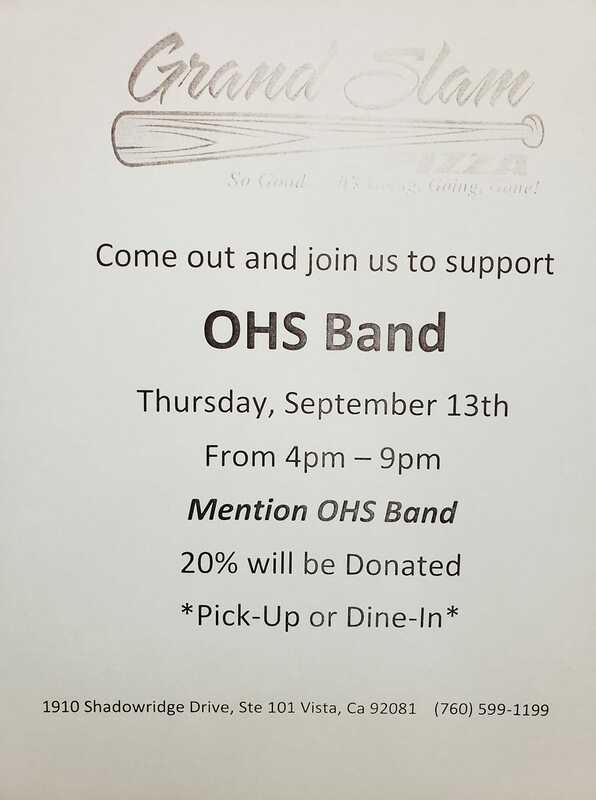 From 4 pm – 9pm mention OHS Band and they’ll donate 20% of your dine-in or carry-out purchase. 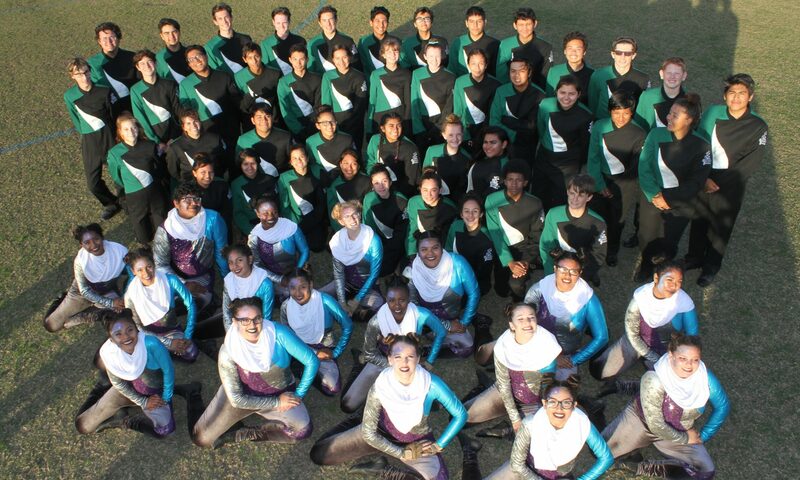 Band camp is back on! Thank you to our teaching staff and OHS administration for making this happen! As many have heard the 2018 band camp has been cancelled. With the hiring process of a new band director still in the works, the school administration has cancelled band camp. The OHS Instrumental Music Boosters are currently working with the OHS administration trying to resolve this, and if approved everyone will be notified as soon as possible. We appreciate all your concerns, support and understanding. Please keep an eye here and on our social media (Facebook, Twitter) for more information.